Leslie Feist gave Chicago concertgoers a night of peaceful indie rock on Friday. Playing to a sold-out crowd at the Riv (including Mayor Rahm Emanuel in a box seat), Feist came on after what might be described charitably as a weird set from The Happiness Project. 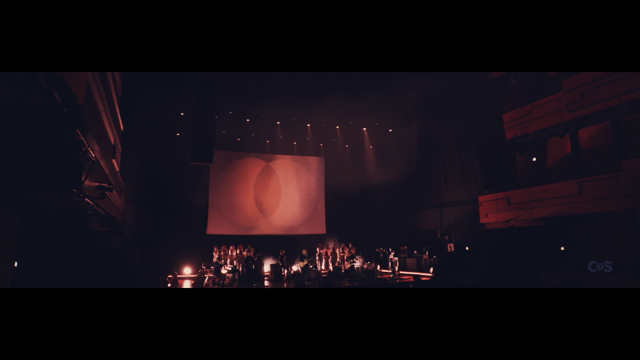 The crowd was polite towards the rangy six-member collective, with their wandering mix of spoken word and emphatic saxophone, but they were really there, of course, for Feist. Feist seems smaller in person than one might expect, a strangely compact vessel to carry such a voice. She brings lots of personality to the stage with her, though, stamping a booted foot in time with her guitar playing and shaking her heavy, long hair back from her face as she sang. Accompanying her as she played primarily tracks from recent release Metals was a backing band of three plus a trio of female singers known in their own right as Mountain Man. Their voices lent a honeyed warmth to Feists floating vocals, widening and deepening her sound, even as they harmonized. But Feist on her own is a force of nature. Her voice is distinctive, one of those you can always recognize; under any circumstances, youd know it was her. She toyed with the tempo on a number of tracks and didnt often let her vocals escape in their full force; when she did indulge, though, they were glorious. A Commotion let her voice out particularly, notes catching on the smoky corners, even her breath into the microphone audible. Comfort Me started with her alone on guitar, singing softly, almost teasing us before the song slammed into the full band, lights flashing, drums pounding. The crowd was particularly excited for The Bad in Each Other and classic Mushaboom. 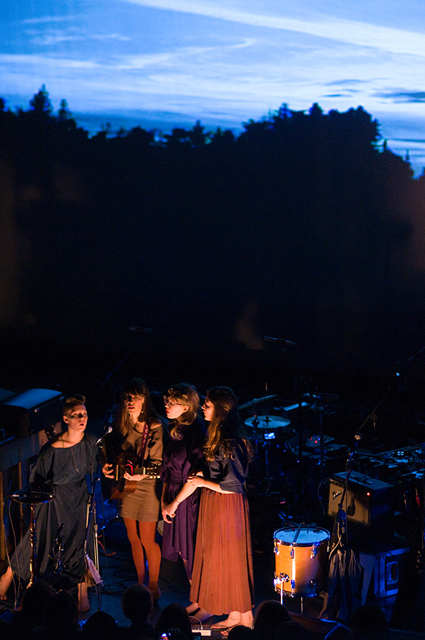 Feist invited them to sit on the edge of the stage with her: But gently! Gently. This is adult contemporary rock. During the encore, The Reminder single I Feel It All ran at such a fast tempo that it was hard to recognize save for the lyrics; it was an upbeat, celebratory take on the track. For closer Let It Die, she invited couples on stage to slow dance around the band as they played, which quickly turned into a crowd. The members of Mountain Man danced together, couples swirling around them, faces crowded behind Feist looking out. She thanked the crowd politely and hugged fans onstage before she left. Check Out: Hodgy Beats feat. Left Brain – "Crap"